Rest, Rotate and Prioritize the League or Put Out a Strong Team as History Beckons? We could probably put this question to both managers as they approach this one. With League matches looming–Sunderland manager Sam Alardyce has been very critical of the decision to schedule a mid-week fixture directly after the 3rd round cup matches, and has suggested he’ll have to field a weakened team–we have to be careful here. 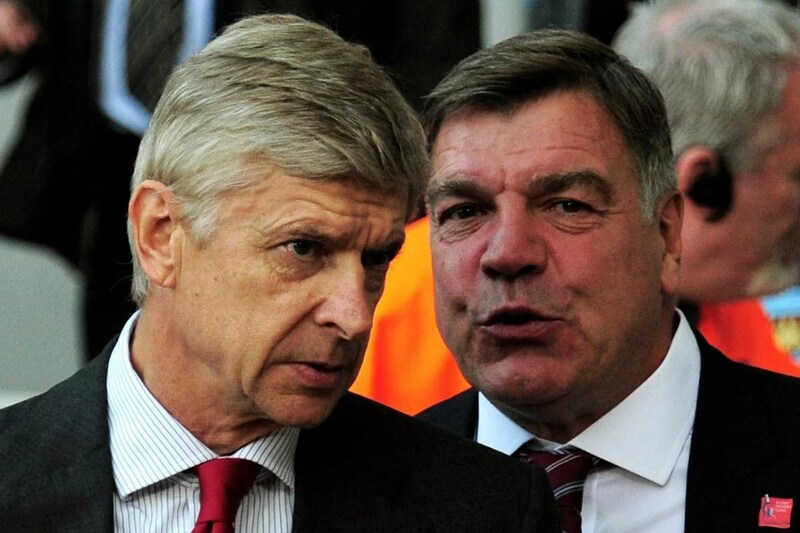 Is Alardyce playing mind games or playing the biggest mind game of them all: speaking the truth? Do we need to worry about Sunderland–a team we rather squeaked by in the league just over a month ago–and couldn’t beat on our home ground last May–or do we assume Alardyce really does have bigger fish to fry? Your guess is as good as mine. What do you think? Is this one a chance for youth or should we play our top guns to try and get the result as methodically as possible with steely eyes focused on Wednesday at Liverpool and Sunday at Stoke City? Moreover, is the FA Cup a trophy we should give our all to defend or should we see those two consecutive triumphs as important moments for the team but also as stepping stones to bigger prizes? I don’t know about you, but my tendency is to want to have it all, and, given that it’s struggling Sunderland–at home–I say we should play a reasonably strong team and try to win the match in convincing fashion, ideally getting in some youth prospects for the final half hour to shore things up. I believe we have the squad depth to try this approach and the flexibility to respond to whatever situation arises as the match goes on. Alardyce, I don’t think, has such latitude and, in fact, I believe he wants to make a strong point to the Football Association. Also, as he’s coming off a solid league win over Aston Villa, he probably has as much wiggle room as a manager of a club in the relegation places will have until safety (or doom) is secured. As much as some title-obsessed Gooners might wish for a quick exit from this competition, Black Cat supporters know that they need their resources fully focused if they hope to avoid another dramatic survival campaign. Coming into the league match vs Sunderland on December 5th Arsenal was teetering. November had not been a kind month. Losing at West Bromwich Albion and the injury to both Francis Coquelin and his replacement that day, Mikel Arteta, was followed a week later with a draw at Norwich and more injuries, this time to arguably more critical players, Alexis Sanchez and Santi Cazorla. The squad was decimated and the season felt as if it hung in the balance. Beating Sunderland on that day helped begin a remarkable comeback for the team, one which now finds us top of the Premier League table and still in the Champions League, albeit facing the most difficult of round of 16 opponents, the holders, Barcelona. That match a month ago wasn’t easy, however, and plenty of Gooners must’ve been worried when we went to the half time break tied at 1-1. Goals by Olivier Giroud–one in each net, had our season on a knife edge. Luckily, 2nd half goals by Joel Campbell and Aaron Ramsey gave us some breathing room and the impetus to push forward from the November nadir. Can he use a similar team? Must he dig deeper into his squad? He does have a few extra options who didn’t start that day. Jermaine Defoe is fit this time, as is Lee Cattermole. Adam Johnson, Jordi Gomez, Fabio Borini and Danny Graham are all well traveled attackers who, on their day, can put the ball in the net. If Allardyce goes for youth, surely Jermaine Jens must feature. When he says he must rotate to prioritize the league matches he might be giving some very hungry players just the opportunity they need. The big team news is that Alexis Sanchez will not be ready for this one (and will also not be available for the midweek match at Anfield). This might have been a great debut opportunity for new Gunner Mohammed Elneny, but his transfer from Basel FC has been held up over technicalities surrounding his work permit. A player we appear to have back in the fold is our Captain, Mikel Arteta, who successfully came through a 45 minute outing with the Under 21s in midweek. So, we do seem to have some options, especially considering we have no injuries among the defenders and goalkeepers. How then does Wenger use his squad, keeping in mind the disastrous results too much rotation (particularly at the back) caused in the first couple of Champions League group games? Notably, does David Ospina get another chance in goal? It’s a very tough call as the Colombian needs some sort of first team football and has been linked with moves away from the club. I think he will play as the last thing we need is an injury to our one big summer purchase, Petr Cech. Cech is a big reason we’re top of the league. The other is the play of Mesut Ozil. He’s another AW would be foolish to risk, at least as a starter. Does he even suit up for this one and who will become the creative force in attack if he rests? My hunch is that it’s got to be Aaron Ramsey, who will have to do his running-all-day best in the #10 spot. Theo Walcott, I think, gets to start up top as he did quite successfully before he went down with a calf problem in late October. My guess is that he’ll be flanked by Alex Oxlade-Chamberlain and Joel Campbell, I think, while Olivier Giroud gets a much deserved spot on the bench. No full rest for the big man just in case we need goals. Remember, a trip to Sunderland for a replay (if case of a draw) is probably our worst case scenario. Who plays deeper back is anybody’s guess. I’m calling for nearly complete rotation. My team has Calum Chambers and Arteta in the deep-lying midfield spots with Mathieu Debuchy given one last chance to show he can play–either for us or for the host of teams who seem willing to make him a starting right back. Gabriel Paulista, who scored two matches ago vs Bournemouth comes in for the guy who rescued us a week ago, Laurent Koscielny. Kieran Gibbs in for Nacho Monreal completes my group. That’s seven changes from the team which got past Newcastle a week ago in the driving rain. Some would go even further, giving starts to Jeff Reine-Adelaide and/or Alex Iwobi. Like I say, if we look comfortable, 20 minutes or even a half hour at the end might be a treat for one or both. Others, of course, might be more conservative in their changes, especially at the back. These are just my ideas and thoughts about how we might try and sneak through to the 4th round draw while still being well prepared for the league matches. What say you? Go on, please share. And go on you Gunners!!! Very interesting line up over which I will sleep a night! That is the most probable lineup, or we might see an unchanged lineup from our last game. Very good post 17 and I agree with virtually all of it. Agree with your team. Win the tie then give the youngsters a run out. I’d like to see Willock on the bench. And we really don’t need a replay. I like this preview HT. Your line up looks very probable and it is no mean team for FA 3rd round. The beauty of it is that it rests 8 of our current X1. Of the three in our XI in the your line up only Ramsey’s should have a bit of a controversy to it. At the moment Ramsey is crucial to us in the double pivot role. Also he happens to be the only available viable cover to Ozil’s #10. However the return of Arteta, the imminent signing of Elneny, plus Rosicky back to full training in two days time, has made Ramsey’s inclusion easier to digest. If the match is going well for us I expect him to be the first to be replaced. 100% with your line up. Hi there HT. Excellent analysis and context as always. I think this looks like rotation too far however, and i would not be surprised to see that team over-run through the midfield and taken apart through set pieces. Wenger could put all his eggs in the PL basket and feel the FA cup is almost the same as the C cup – in which case this would be a reasonable risk. But I’m not convinced. Both managers will want a win – keep on winning, whatever the games, and the squad will grow in confidence. After a week of rest, we should be able to field more of our first 11. Kos and Ozil rested I would agree. And prob Gibbs in too. But I would start Cech and Bellerin. Giroud is 50:50, but prob on the bench I guess. If Rambo is moving forward then for me Flam needs to start, with either Arteta or Chambers. But starting both, esp with 4 changes in the back line seems asking for trouble. 1. More playing time for the merging Kos Gab partnership. 2. More playing time for Chambers and Ox in their natural positions centre of midfield. They are inexperienced but plenty of potential there to form a partnership. Great to have that option if it works. Ox needs to be disciplined but his desire to play in the middle may help him with this. 3. A good mix of experience with youth. Iwobi getting his chance from the start while Cech, Kos, Theo and Giroud can lead the younger ones on as well as help steady those with less game time e.g Gibbs & Gabby. Arseanl: Cech, Bellerin, Gabriel, Koscielny, Gibbs, Chambers, Ox, Iwobi, Walcott, Campbell, Giroud Subs: Macey, Debuchy, Arteta, Ramsey, Monreal, Reine-Adélaïde, Willock. Sunderland: Pickford, van Aanholt, Cattermole, O’Shea, Lens, Graham, Toivonen, Coates, Fletcher, Yedlin, Watmore Subs: Mannone, Jones, Borini, Defoe, M’Vila, Mavrias, Beadling. Hi HT thanks for the preview great writing. Erm not on terrestrial tv so likely it’s on one of the paid for channels BT sport or Murdoch’s Sky Sports. How about a middle way HT? Or see how the espresso kicks in? Great move and Gibbs nearly but unlucky, close ! Iwobi!! Great dribbling, unlucky not to score there..
That was NOT good… Gibbs did well to take the ball off Lens but then put Kos under pressure with the backpass… He likely expected him to put his boot through it but instead he tried some quick touches which didn’t come off…unless you’re a Sunderland supporter!! The third positive I mentioned of a good experience of experience with youth, does require the experienced ones to turn up which also means not to be over confident. Kos was at fault of over confidence, which often leads to ridiculous moments with this Arsenal team. Leaders need to step up. It’s a fine line that confidence thing. Yeh maybe I am being too harsh on Kos but you know if in doubt as a defender kick it out. We’re on the front foot now… Theo’s long shot forces a good save and a corner…but nothing comes from it…. Ox crashes Watmore off the ball and moves it nicely upfield…Eventually Chambers pushes it to the end-line and wins a corner…. Really good play carrying the ball from the Ox.. Walcott slows it down by cutting back inside again but also positive seeing Chambers taking up a right wing position when required..
We look dangerous but our moves have to happen quickly… There’s not much sustained possession and plenty of chances to nick it away as they did for the goal…. Enjoying the running commentary 17HT. DVR-ing AFC and watching a chippy affair between Doncaster v. Stoke (1-1). Should have been at least one red card, possibly 2. and a host of yellows. Just 2 yellows (one each) to this point. Would love to see Ramsey and The Jeff come on later ..
sounds like both Campbell and Iwobi playing well today? Cheers TA. Ah big Ollie has been quiet but effective in opening up some space for others. Good to hear it 14. Theo sounds very industrious but not much composure? We need to see this out with some possession now…. Great news. Does anybody fancy doing player ratings straight after the game? I guess ref saw it as a tangling of legs rather than a deliberate foul.. but not sure..
Campbell off to strong applause, the Jeff is on with his first team debut…. Plenty of bad calls and dives, but it is not unusual as big Sam always do that to us. Good game nevertheless and we played better when Rambo comes in. Ox is better but looks rusty. Campbell has a good game and it mattered most as we could not create much from the central area. I hope to see a proper summary of this game so I can make up my own mind. Very happy with the win.